Save Patty Keys and Torben from the shark army with Zane’s super-cool Ice Tank! Jump in the cockpit with Zane and drive to activate the tank’s huge rotating ice container. Power across the ground with the big tracks. Fire the ice cannon’s 6-stud rapid shooter and force Shark Army Thug and Angler to retreat! Last known price is 11% above the initial Lego retail price! 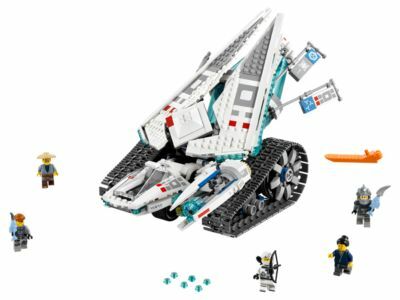 The Ice Tank (70616) Lego set is no longer directly available from the sites below. However, 3rd party partners of these sites might still have the set available. Alternate description Take on the shark army with Zane’s Ice Tank!